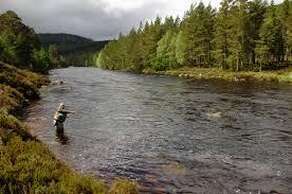 Beautiful Royal Deeside is a holiday playground unequalled in Scotland. Comprising fine Grampian mountains, attractive woodlands and delightful rural scenery, it is a mecca for the walker, climber or wanderer. Add the nearby castles, distilleries and other attractions and you have the ideal place for a holiday break. The majestic River Dee flowing past Braemar Castle, royal Balmoral Castle and Crathes Castle on its way to Aberdeen offers the finest salmon fishing. 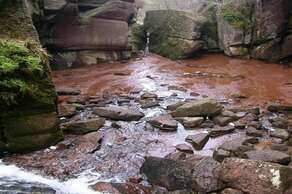 (The beauty spots of Linn of Dee and the Bridge of Feugh both offer the opportunity to see salmon jumping.) There are numerous excellent golf courses and Braemar Golf Course is the highest 18 hole course in Britain. In the south-west is Glenshee Ski Centre, the home of the largest ski centre in Scotland. 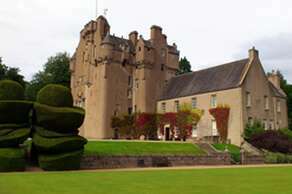 Deeside has numerous castles, most with a wealth of history. 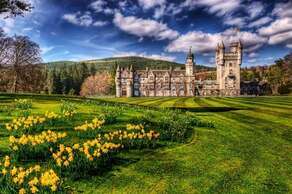 Those open to the public are Braemar, Balmoral, Crathes (with its famous gardens) and Drum, the latter two being National Trust for Scotland properties. On the edges of Royal Deeside there are several more castles including Corgarff, Craigievar and the ruins of Dunnottar Castle. 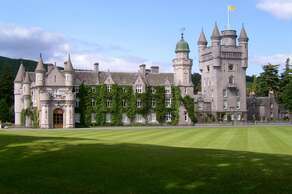 To these can be added three magnificent buildings, easily visible but not open to the public, Mar Lodge, Invercauld House (sometimes known as the Castle of Invercauld) and Abergeldie Castle, between them they offer a sample of the best to be found in Scotland. Just around the corner from Glendavan, the Burn O'Vat is a 'must see' for visitors to the area. Central to the Muir of Dinnet Nature Reserve, this gentle walk takes you in to an open cave with beautiful waterfall. The Reserve has several other walks that will delight for much of the day. 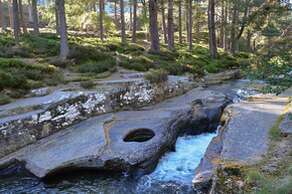 7 miles beyond Braemar you will come to the Linn of Dee - a long rocky gorge with waterfalls, whirlpools and rapids. It is a beautiful spot for walking, wildlife, scenery and picnicing. 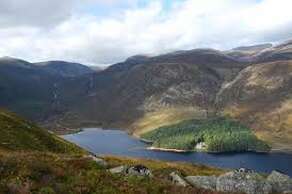 Loch Muick is located beyond Ballater, 7 miles off the South Deeside Road. The drive up to the car park is stunning and a verylikely place to sight herds of deer. The walk around the Loch itself is great day out. The more adventurous can ascend the mountain of Lochnagar from here as well. For those of you looking to do something a little bit different, Royal Deeside should definitely be up there on your list of choice destinations. We are so fortunate to have a number of excellent activity providers with whom we can guarantee you will have an unforgettable experience. Here I have outlined just a few of our favourites. Most activities would probably need to be booked in advance of your stay to ensure you get the activity and the date that you want. We would be very happy to help with any planning or reservations. Please do just give us a call. Royal Deeside Tours - Ian Murray offers bespoke landrover tours looking at widlife and significant places of scenic or historic interest. He will liaise with you directly to organise a trip personalised to your specfic requirements. Fishing on the Dee also available through Ian. Running the Highlands - Neil Stewart of Running the Highlands offers running holidays, running tours and training weekends for runners of all abilities. Neil's reputation is built on excellent customer care and fabulous scenery. Guests of ours that have attended a training weekend, or have booked one of his tailored running holidays are always highly delighted and many come back for more! Deeside Activity Park - For those looking for a bit of an adrenaline surge, Deeside Activity Park offers the largest variety of outdoor activities in Aberdeenshire including quad biking, kart racing, 4x4 off road driving, archery, clay shooting, and rifle target shooting. Whether you want to learn the finer points, or just 'have a go', they can certainly offer something to suit. The complex also houses a fine tearoom/restaurant. WalkHighlands - A must visit website giving great recommendations for local wals for all abilities. Cycle Highlands - For daily bike hire - which can be arranged in advance of your stay so that your bikes are waiting here at the house for your arrival - or guided rides on suitable mountain trails. For more hidden gems in Royal Deeside, or indeed for the rest of Scotland if you are planning a bit of a tour, we would highly recommend that you visit the Secret Scotland website. Here you can find itineraries and off the beaten track suggestions that will help you make the very most of your time in this lovely country. We do not, currently, serve dinners at Glendavan House although, if you will be late arriving with us or you think that you would just like to curl up in your suite on an evening, we can offer you a delicious hamper, supplied by the local delicatessen. Please do let us know if you would like more details. 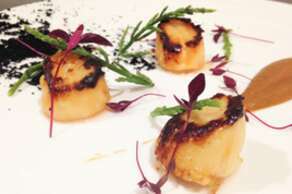 There are a number of excellent restaurants in the area, offering cuisine to suit all tastes. Do ask for restaurant details at time of booking.